What Threatened to Silence These Musicians? Brian Johnson, lead singer of AC/DC may have thought he was on the “Highway to Hell”. But as it turned out he was traveling down the road to hearing loss. Musicians like Johnson are faced with an impossible dilemma. They live to create music that their fans can’t get enough of. But doing what they love exposes them to damaging sound volume that may steal their hearing faster than “T.N.T”. 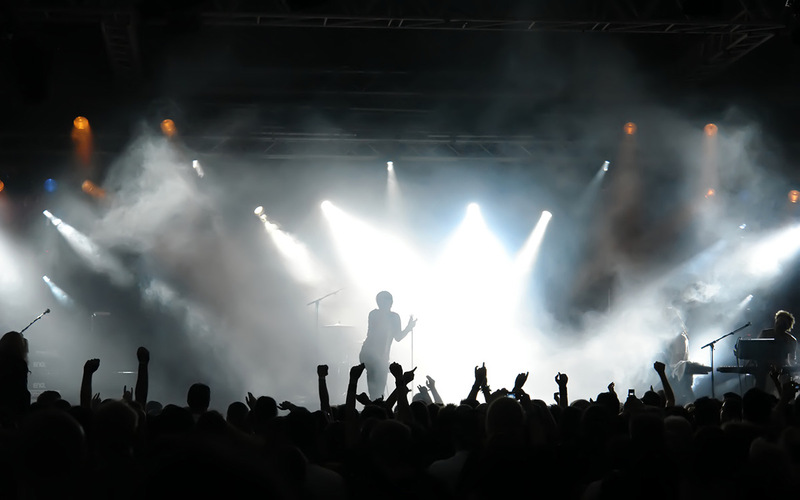 Professional musicians are nearly four times more likely to develop disabling hearing loss than the general public. For many, this means giving up what they love. But they don’t have to. Many musicians have discovered the secret to keeping the music alive. Here are 7 other musicians who are battling hearing loss and how they’re managing it. The multi-hit singer of the 1979 hit “Roxanne” with the Police and later solo hits like “If I Ever Lose My Faith in You” never lost the faith. After developing hearing loss, Sting got hearing aids. He told Sirius XM’s Artist Confidential he didn’t like his hearing aids at first. It took a little time for his brain to adjust to hearing so well again and prioritizing some sounds over others. He joked about suddenly being able to hear all of the things people were saying behind his back. Today Sting is very involved with Hear the World, a group whose mission is to help children with hearing loss around the world gain access to hearing solutions like hearing aids. Roger Daltrey of the WHO realizes that his hearing loss is a result of years of performing very loud music. He now advises people to wear ear protection when they go to concerts. He uses in-ear monitors to continue to follow the music and has vowed that hearing loss won’t stop him from creating new music. His WHO bandmate Townsend very openly wears his hearing aids and credits them for helping him continue to compose music. Eric Clapton told the BBC that he can no longer hear the strums of his guitar well. Clapton has not discussed whether he’s wearing hearing aids to help him with his music. But he has said that he’ll continue to play as long as he can. Wilson of the Beach Boys was likely born with his hearing loss. Hearing specialists at the time were unable to confirm if it was congenital or the result of a head trauma that he suffered at a very young age. Either way, it left him nearly deaf in his right ear. Despite his condition, he helped create some of our favorite ’60s hits and he’s still at it today. In 2005 he won a Grammy for his instrumental “Mrs. O’Leary’s Cow”. And in 2019, the Beach Boys will be touring in over 17 US cities. Ozzy Osborne of the Black Sabbath holds the Guinness world record for the loudest scream. With a volume of over 105 decibels, it’s enough to cause hearing loss with prolonged exposure. His concerts were much louder, and he’s developed hearing loss and tinnitus. Today, he encourages musicians to wear ear protection and give their ears a break after concerts. Two-time Rock and Roll Hall of Famer Neil Young chose to play gentler music as his tinnitus (ringing of the ears) got worse over the years. By 1998, at the age of 53, he was wearing hearing aids both to help manage the tinnitus and better hear his music. Want to see Young play? Thanks to his hearing aids and his passion for music he’ll be touring again in 2019. Most musicians will be faced with hearing loss as they age if they don’t take precautions to protect their hearing. Thankfully, there are musician earplugs which block volume without distorting voices and instruments. Many modern hearing aids are built with musicians in mind. They can even help with that tinnitus. Artists continue to produce music, tour and live what they love thanks to their hearing aids. But it’s important to note that, as Sting mentioned, you have to give yourself a little time to retrain your brain to distinguish between certain sounds. Many musicians get frustrated and give up on their hearing aids because of this learning curve. But those who stay committed to hearing better soon find the joy of hearing the music again.